I have a problem. I'm addicted to downloading soundtracks and novelty albums. I love them! Be it awesome soundtracks like the Batman Forever Soundtrack or goofy novelty albums like Freddy's Greatest Hits, my iPod seems to be filled more with albums that center around movies or trends. And today, children, I invite you to either laugh at them or bond with me over your love of them as well. 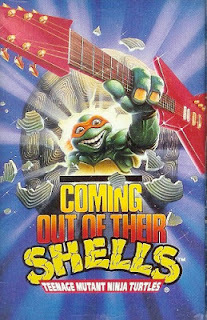 First up, "Coming Out Of Our Shells". Released in 1990, when the Ninja Turtles were hotter than Sofia Vergara slowly eating ice cream at the beach in slow motion, this novelty album was sold in conjunction with the Ninja Turtles live tour of the same name. Yes. A live tour. Where they played their greatest hits such as "Pizza Power", "Tubin", "Walk Straight" and of course the title track "Coming Out Of Our Shells". I actually had both the live tour tape and the making of the live tour, which the latter was nothing more than a documentary style tape where a bunch of people play along and act like Leonardo was born with musical ability while April interviews a bunch of kids about their favorite Turtle. This was one of the many horrible tapes I'd drive my mom absolutely crazy with. I'm sure she'd rather drive off the road than listen to the Ninja Turtles sing about April's disappearance, but she was a trooper and stuck it out. Quite frankly, I recommend the soundtrack more than anything, especially if you just want something goofy to listen to and you forgot to put Tarzan Boy on your iPod. Hearing the Turtles sing was one thing, but listening to the best of the best in the WWF was another. 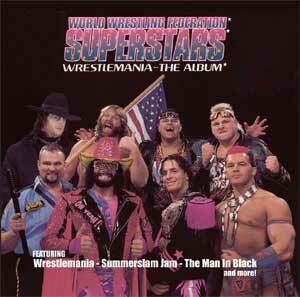 Another album I drove my mom crazy with was "WWF Superstars Present Wrestlemania The Album". in it, Bret Hart sang sappy ballads about breaking up, The Nasty Boys sang about not showering, The Undertaker crooned about his penchant for wearing black and Hacksaw Duggan just screamed "USA!" into a microphone for too much time. It obviously wasn't good, but I loved the WWF and was so heavily into it, my mom bought this tape for me. And if you haven't heard Mr. Perfect rapping, you're missing out big time. And while wrestling novelty albums isn't new, going back to WWF's multiple albums from the 80s where multiple wrestlers like George Steele and Koko B Ware sang their hearts out, this may be the worst of the lot. A real shame, because I'm sure we all were hoping that Big Bossman would win a Grammy for this one. Next up is a very puzzling album because I have it on my iPod all year round and one of the few cassettes I have left. "Have Yourself A Scary Little Christmas" was put out as a compainion to HBO's wildly popular(and my all time favorite TV show), Tales From the Crypt. 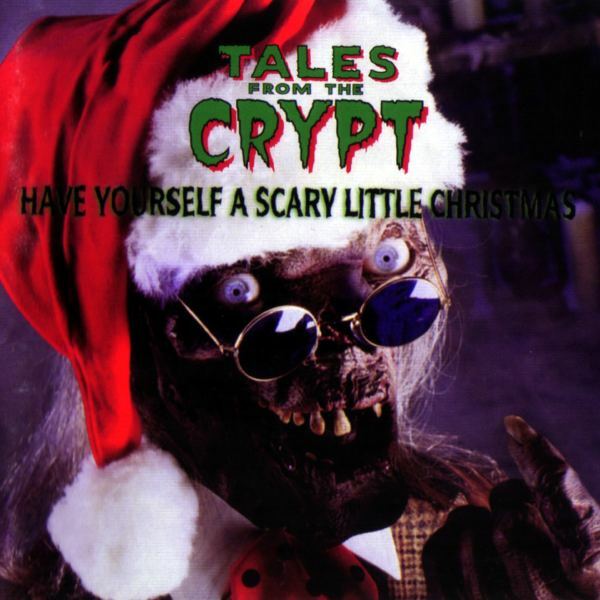 The Crypt Keeper decided to invite guests down to the Crypt to enjoy some nice Crypt-mas Kookies and Christmas Scare-ols (ok, I really gotta leave these puns to the Crypt Keeper himself) all while remaining in the creepy spirit of the macabre. These songs are all goofy, horror-themed covers of popular Christmas songs sung by the Crypt Keeper's voice actor, John Kassir. Selections include "Deck The Halls With Parts of Charlie", "We Wish You'd Bury The Missus" and "Juggle Bills". It's a pretty fun album to listen to, especially if you can appreciate the silliness and over the top nature of the Crypt Keeper. Definitely highly suggested! One of the only records I own is, surprise, the Freddy's Greatest Hits. This was released at a time when Freddy was unstoppable and could do no wrong. The merchandising wasn't as refined as it is now, but it was definitely the a huge cash cow. 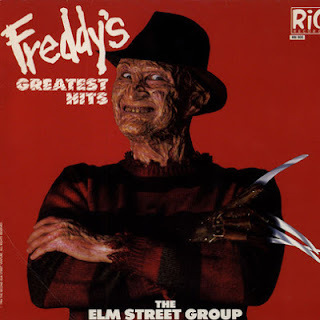 Freddy's Greatest Hits, much like Scary Little Christmas, was pretty much a cover album sung by a generic pop group called "The Elm Street Group" with vocals laid down by the man himself, Robert Englund. And just like the Crypt Keeper, Freddy has a ball butchering your favorite songs for his own delight. And Robert shines on this. its silly, goofy, dowright hilarious. In fact, you'd be hard pressed to get an album like this these days in which a horror star would take the time to stay in character and sing goofy songs. Tracks include "All I Have To Do Is Dream", "Do The Freddy" and "Down In The Boiler Room". Most, if not all, songs are just covers of older songs and are given Elm Street themes. It's a very fun album to listen to, especially if you need a quick pick me up and a good laugh. If you can find it, buy it! it's a great collectors item! Mr. T's Commandments was a bold statement by the big man himself. 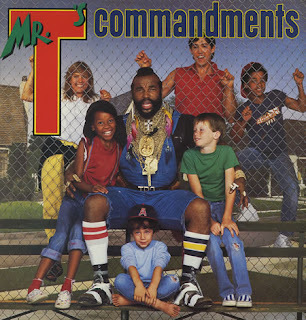 Mr. T was no longer going to settle for gang violence or disrespecting mothers. Of all the albums I've listed, this is a hard one to describe. Essentially it's just Mr. T signing nursery rhymes while dispensing his wisdom of how hard it is to grow up in Chicago. A former troubled youth, the T saw the pandemic of drugs and violence in his former neighborhood of Chicago in the 80s. And boy howdy, did he start a revolution. For a good 45 minutes of yelling about how he was made for loving in "Mr. T, Mr. T, He Was Made For Loving" and how he's the "Toughest Man In The World"(actual titles. No seriously) and the valuable lesson of "Don't Talk To Strangers". His rapping skills aren't yet refined and compared to "Be Somebody or Be Somebody's Fool", it kinda falls flat. But Mr. T screaming about not doing drugs is something that makes me laugh hysterically and must be heard. All in all, these albums are on my iPod. Yes, really. I actually listen to these. Sometimes you need a good laugh and these albums are good for that. in my next entry, I'll cover some of the lesser known soundtracks I own that I love. Did you know you can create short links with LinkShrink and make dollars from every visitor to your short urls. Treehouse of Horror: Monster Squad Style!